All along the Carolina coast, Goode Fence is a leader in fence solutions for Homeowner’s Associations. Our dedicated property management representative will work closely with HOA’s, POA’s and property management companies to identify the best fence options for neighborhood perimeters, pools, service areas and estate gates. We understand the unique challenges associated working with community boards, architectural review committees and their constituents. Our GoodeConnect™ system makes sharing information easy and our dedicated customer service team is here to answer the phone and keep the process moving. Goode Fence offers dozens of chain link fence and gate options. 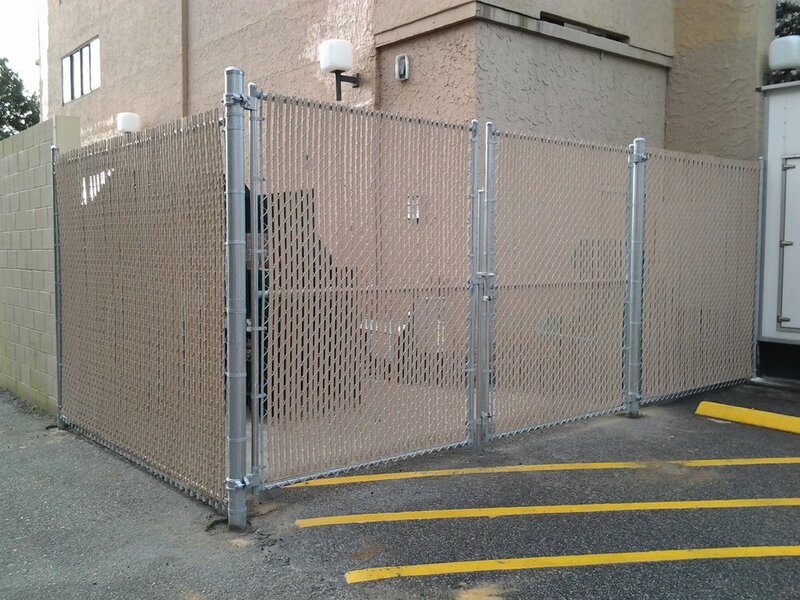 Choose black chain link for an economical solution to security and aesthetics. Sometimes referred to as wrought iron fencing due to its appearance, ornamental aluminum fence and railing provides the look of wrought iron without the rust and maintenance. Goode Fence is proud to offer aluminum fence and rail manufactured by Ideal Aluminum in St. Augustine, Florida. This American made product is available in commercial and industrial grades to satisfy the heavy use typical of community pools and perimeters. Of course, one of the biggest issues facing community associations is pool security. And, at Goode Fence, we pride ourselves on using the right materials and process to secure pools while meeting building code and SC DHEC standards. With heavy post and gate options, combined with durable hardware, we can make your pool beautiful and secure. Need gates for your community entrance? Goode Fence can handle that, and we’ll work hand in hand with your security company to design a safe, secure and beautiful entry. PVC Vinyl Fence and railing is attractive and virtually maintenance-free. Plus, our American made vinyl fence contains significant recycled content making for a sustainable option. 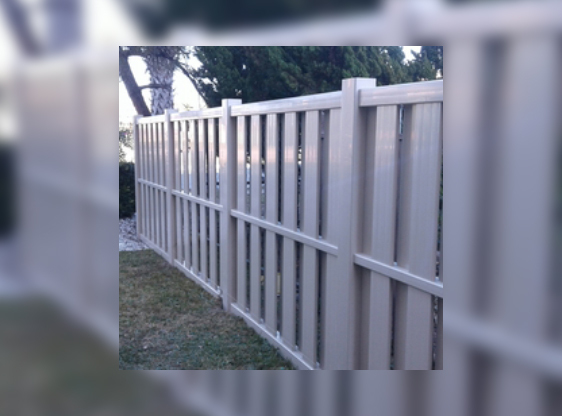 Vinyl fence styles are available in over 100 style, color, and height options. Vinyl fence provides the beauty of traditional painted or natural wood-grain wood fence, but will never rust or rot. Our vinyl fence is “professional grade” with rails that are mortised into the posts and pickets mortised into the rails. No brackets or glue like on home center fences. This means our fence can follow the contour of your site without having to step up or down and our fences won’t tear themselves apart through heat and cold like a home center fence. As a perimeter fence choice or for trash enclosures, vinyl fence can’t be beat. Goode Fence will work with you to design the best solution for your soil conditions and application. And, if you want big vinyl gates, our in-house fabrication shop can craft steel or aluminum frame gates with vinyl covering to insure years of use and easy repair and maintenance. If you are looking for porch or stair railing, we offer vinyl options in white or tan to satisfy residential safety and code requirements. Choose from picket, privacy, and semi-private styles to achieve the perfect look for your backyard. Click to learn more, or call us today and we will work with you to choose the perfect vinyl fence option that meets your neighborhood covenants while providing the safety and security you desire. Goode Fence offers an almost unlimited selection of wood and composite fences for your community project. 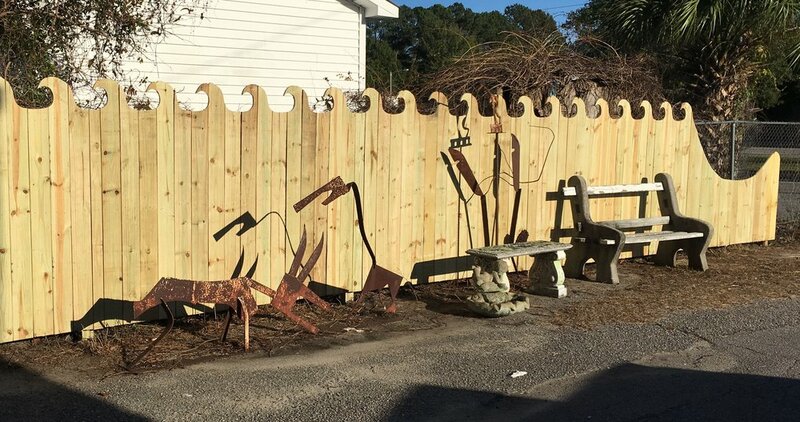 Wood fences can be an economical option in standard picket, stockade or shadowbox styles, or we can customize the design to create a unique look that adds value and natural style to your property perimeter or back-of-house needs. For the beauty of wood without the upkeep, you can finish or fence with composite materials that provide a lifetime of good looks without the maintenance required of an all wood fence. Let our property management consultant walk you through the options.